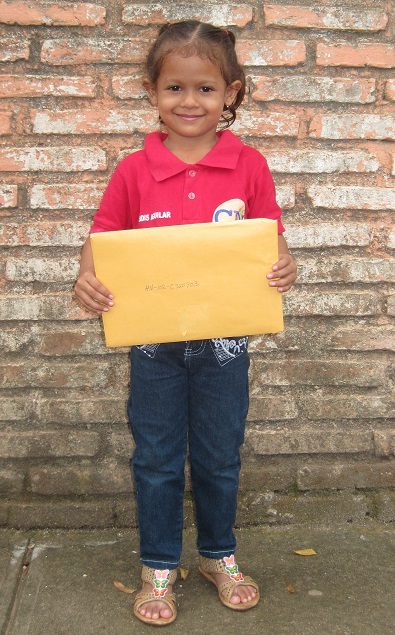 We began sponsoring this little darling through One Child Matters back in May. While I know that our $34 donation each month blesses Gladis in so many ways, it has been wonderful to experience the gift she is to us. 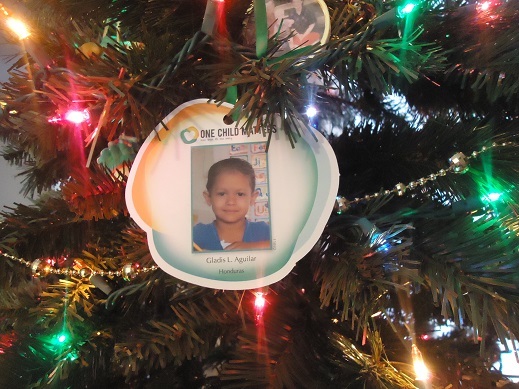 We have her picture hanging on our tree – another visible reminder to pray for her. Look! Her hair is long enough now to pull back into a pony-tail! I obviously have nothing to do with this, but I’m still proud. We made and sent her a bracelet several months ago, but I’m not sure if it will arrive in time for Christmas. Still, I know that because of our sponsorship, our family is giving our little girl Gladis the best of the best: The opportunity to learn about Jesus. We would love for you to join us in this wonderful ministry opportunity with One Child Matters. Are you able to sponsor a child along with our family? You can choose boy or girl, any age, and from 16 different countries. Just something to think about as you consider your blessings this Christmas. Hope you’re having a merry holiday! That’s the question Malachi asked me a few weeks after we signed up to sponsor Gladis through One Child Matters. We were talking about the great need so many children have in the countries where One Child Matters serves. We wanted our kids to understand how wonderful it is that our gift of $34 each month provides our little Gladis with the food she needs, a good education, medical care, and the opportunity to learn about God. Our four boys have never really known what it is to be in need. Even in our leanest times, they never missed a meal, never had to go without shoes, always had a bed to sleep in. They can’t imagine not knowing about God. This experience with sponsoring Gladis has been so good to give all of us, adults included, a reality check. It is a fact that we have food in storage to last us several months (because my children’s mother adores bulk food purchases). Clothes are hanging out of our kids’ dresser drawers (which has everything to do with the amount of clothing they have and only a little bit to do with the method in which some of my boys stuff clothes quickly into drawers without bothering to fold them). We have access to so many books, they don’t all fit on our shelves. We are always surrounded by people who love us, people who serve us, people who care for us. “You mean some of those kids don’t get to go to church? You mean without One Child Matters those kids might not eat sometimes? I think I might cry.” Malachi is a tender heart. His eyes filled with tears at the thought of a child not having what he has. Yes, dear boy. We are very rich. We have each other, we have a beautiful old home with crazy plumbing, we have plenty to eat, Bibles to spare, and a few too many jackets hanging in the closet. 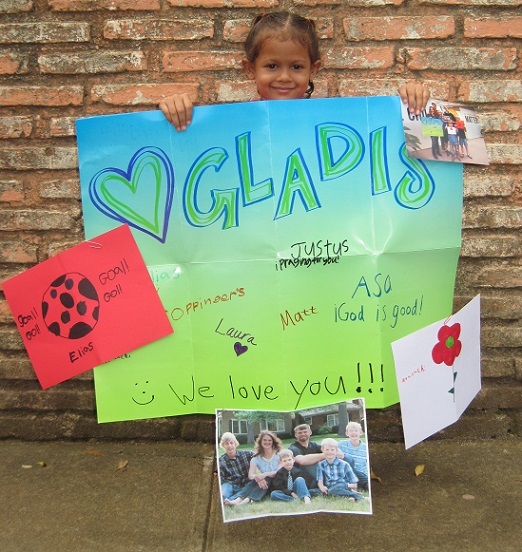 One Child Matters and our dear little Gladis remind us in a new way of the blessings we have. This Thanksgiving, we are seeing our world through the beautiful brown eyes of our little girl in Honduras. We’re thankful to be “so rich” and for the blessing of the opportunity to share what we have so that a child’s life might be changed. Dear Sponsor – Antony’s Story from One Child Matters on Vimeo. We would love for you and your family to participate with us in the One Child Matters ministry. What a perfect way to celebrate our blessings. May you all be blessed with a wonderful, restful Thanksgiving holiday! 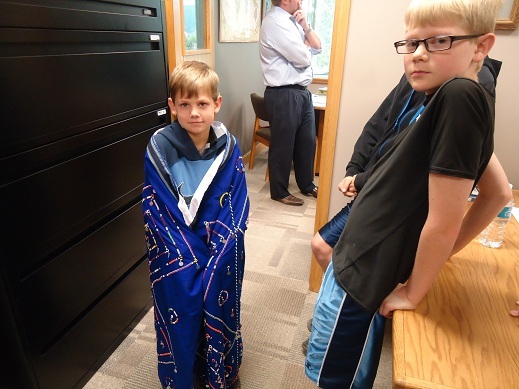 When we were invited to be a part of the ministry with One Child Matters, one of the first items on our agenda was, of course, to pick a child to sponsor. Now, you click over and take a look at all of the hundreds of precious faces of children in need, and you tell me – how is it possible to choose??! It’s only possible with prayer, that is for sure. And that is exactly what our family did. We prayed for God to help us make a decision. First, we agreed that we would choose a little girl. Why? Well, we couldn’t help ourselves. Matt and I have no daughters. Our four sons have no sisters. Nobody complains even a little bit, because we understand that God knew exactly what he was doing when he filled our home with boys. But in the instance that we could choose, we felt drawn toward a girl – one younger than everyone in our household. Her eyes get me every time. And that smile. What a beautiful little darling. Her pictures have a permanent place on our refrigerator door. Seeing as we eat a lot of food at our house, we see her face dozens of times each day – reminding us often to pray for her and for her family. I am humbled by the knowledge that our God blesses this child because of a small donation our family makes each month on her behalf. I am in awe of the power of prayer, knowing that God protects and meets the needs of this little girl who lives miles and miles away from us. The Spirit moves, Gladis comes to mind, we pray for her, and God works. Oh, the power. The beauty. The complex simplicity of it all. Because of our partnership with One Child Matters and the $34 donation we send each month, Gladis is guaranteed to receive schooling, guidance, nourishment, medical care, and Bible teaching. Because we are connected through prayer, we know Gladis and her family members are being loved on and protected by our Father. It is so cool to be a part of this!! I hope you will join our family in this ministry! Pray together about it. Get your kids involved. 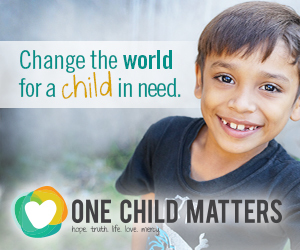 Through One Child Matters, we have the ability to help a child out of poverty. I believe God connects our hearts with these children through the power of prayer. I can’t describe with words what this feels like. You have to experience it to know. Remember The Pot of Stew article I shared? One Child Matters is a way I feel called to serve with my family – not instead of my family. We provide our small piece of the puzzle, God does the rest. These children have needs we can be a part of fulfilling by the grace of God. Our hope is that many Heavenly Homemakers readers will join this ministry. If you do choose to sponsor a child, please take some time to introduce us to him or her! We want to know which one God helped you fall in love with. Remember way back in May when I shared about the trip our family took to Colorado? We were able to spend an entire week in the Denver and Colorado Springs area doing a variety of service projects and ministries together. It was such an awesome way to spend our family vacation! We saw God work in so many ways to make this trip come together, from opening up opportunities for us to hand out food to families in need to joining with some college friends to serve the homeless. Now that I’ve been able to share the One Child Matters ministry opportunity with those of us here at Heavenly Homemakers, here’s another piece of that glorious week in Colorado I want to tell you about. What you have to know is that our family was already planning to be in the Denver/Colorado Springs area before we made the connection with One Child Matters. We got so excited about the ministry opportunity with OCM, then learned that their headquarters are in Colorado Springs. 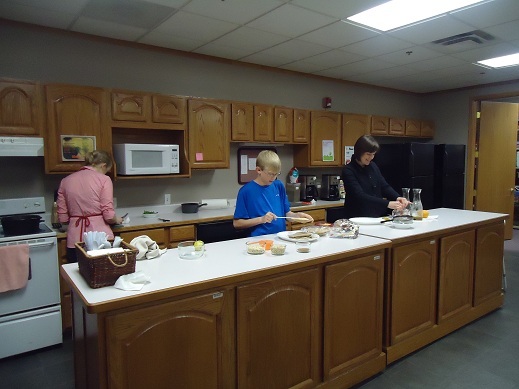 We asked if we could spend time with them while we were in the area and asked them to please put us to work! They did just that, and they treated us like royalty from the moment we walked through their doors. It’s one thing to look at the Once Child Matters website and talk to the people on the phone to hear their heart regarding the ministry. That alone had made me fall in love with the children and mission behind One Child Matters. But having the honor of meeting the One Child Matters Team face to face, and then spending the day working with them? It was awesome. These people care about the children they are serving – there is no doubt. They had our kids feeling right at home in no time. I loved meeting everyone, but it was a special treat to meet Kate – the one I’ve been in contact with the most. She took our family on a tour of the office so we could meet and get to know what each person did to fulfill the needs in this ministry. 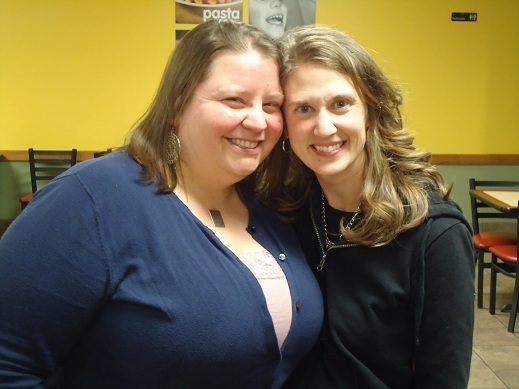 A great bonus is that my cousin works at One Child Matters, so we were able to catch up with her a little bit and steal some hugs. 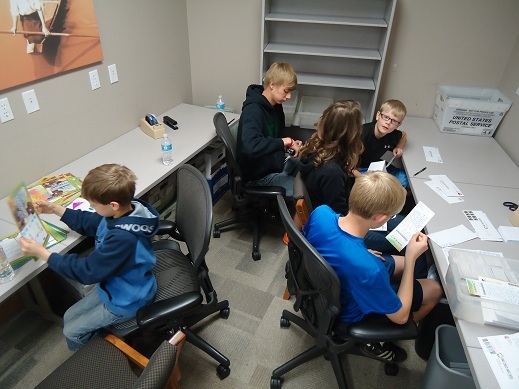 After a tour, we got to sit down and work together on the letters people send to their sponsored kids. This experience was so rich and so much fun. I’ll share more details about sending letters to your sponsored children in a future post, but wow if working through these letters didn’t inspire me and make me feel the love between sponsoring families and the children they are serving. After we ate together, some of us continued to work our way through sponsor letters, while the younger boys headed over to create some masterpieces to send over to our own sponsored child. I am excited to introduce you to our sponsored child soon. It’s amazing how you can feel connected to someone you’ve never met, and how praying for someone holds so much power. If you haven’t had a chance, head over to the Once Child Matters site and consider sponsoring a child. We are so thankful for the opportunity to participate in this ministry! 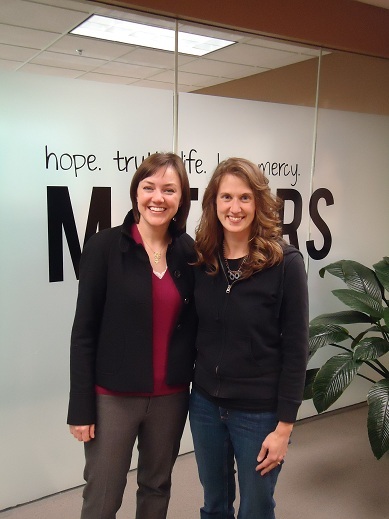 One Child Matters – A Ministry Partnership Opportunity with us at Heavenly Homemakers! Remember several months ago when I told you I had a special service opportunity that we could all participate in together? I’ve been so excited to share this with you – but there has been one delay after another…technical difficulties. Finally, after months of hard work on the part of the One Child Matters Team, I am able to announce a ministry I’d love for you to join me in! The more I get to know you, whether it is “in real life” or through your emails and comments, the more I feel like we are all on a journey together. A journey toward healthy living, a journey toward raising godly families, a journey toward making our homes heavenly, and ultimately, a journey as we all strive toward our heavenly home. The whole concept gives me chills, that through this blog, we can all be working toward so many positive goals together. There’s been a lot going on behind the scenes here at Heavenly Homemakers, and I can’t tell you how excited I am to finally announce this new ministry opportunity to you! Actually, the opportunity itself isn’t new. One Child Matters has been around for quite some time. (You may have known them as Mission of Mercy.) What is new is a partnership I’m eager to share with you – a partnership between my family, your family, and One Child Matters. First, let me tell you a little bit about this ministry. 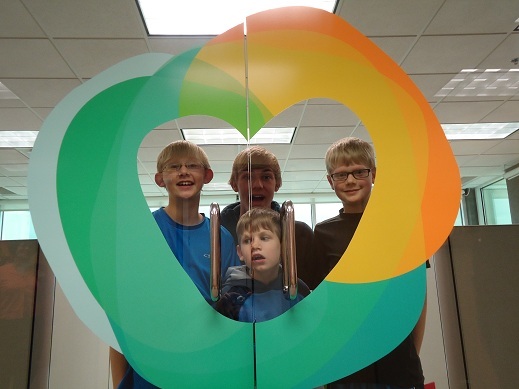 One Child Matters is an organization based out of Colorado Springs that truly cares about kids on a holistic level. They work to help children in 16 countries in the world, meeting their spiritual, physical, socio-emotional, and mental needs. At this point, they are serving over 40,000 children. What a blessing! All of these children live in poverty. Many of them are on their own much of the day – even the little ones – as their parents work away from home for hours to put food on the table each night. One Child Matters provides schooling, guidance, nourishment, medical care, and most importantly – they teach these children about Jesus! If you spend some time at the One Child Matters website, I guarantee you’ll be drawn in and begin to fall in love with these children, just like my family has. Together, we’ve spent time learning about the One Child Matters mission, how they work, what they do, and how much they care. Above all, we’re seeing the faces of the children they care for as more than just pictures. These are kids – just like yours and mine. 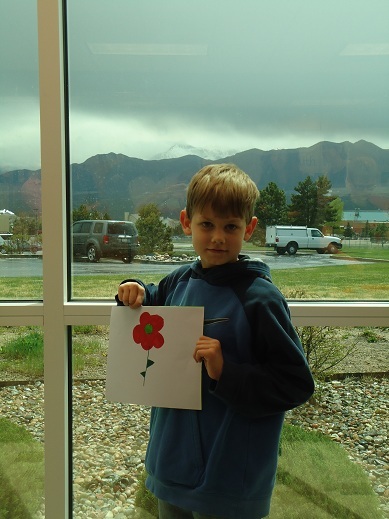 They have needs – and together, we can help One Child Matters meet these needs! Well, this isn’t a ministry that you’ll decide to jump into on a whim (unless after these few minutes you already feel called to participate!). This is something that I encourage you to pray about with your family. Study this ministry to see if its something you might feel called to be a part of. How cool to think that we can all be a part of this ministry together – your family and mine! After prayer and discussion, Matt, the boys, and I have signed up to sponsor a child in Honduras. (I’ll share more details soon. I can’t wait to introduce you to our adorable new “family member!”) Our sponsorship involves a $34 per month donation, as well as a committment to connect with our sponsored child, and most importantly, a pledge to pray for our child. This is something all six of our family members have chosen to be a part of. The $34 monthly donation? Well, we’ve talked to our kids about the fact that while it may mean we need to give up something we want – doing so will help our sponsored child receive the basic care needed each day. Our kids are on board, and we couldn’t be more excited. Please consider joining my family in a ministry that will surely be a blessing to all involved! We can make a difference in the lives of children around the world – and in doing so, we will be teaching our families more about being like Jesus. If that’s not a win-win situation, I’m not sure what is. Please head over to the One Child Matters site and spend time in prayer about joining with us in this ministry. I’ll be sharing more in the upcoming weeks about how we can all work together in this!